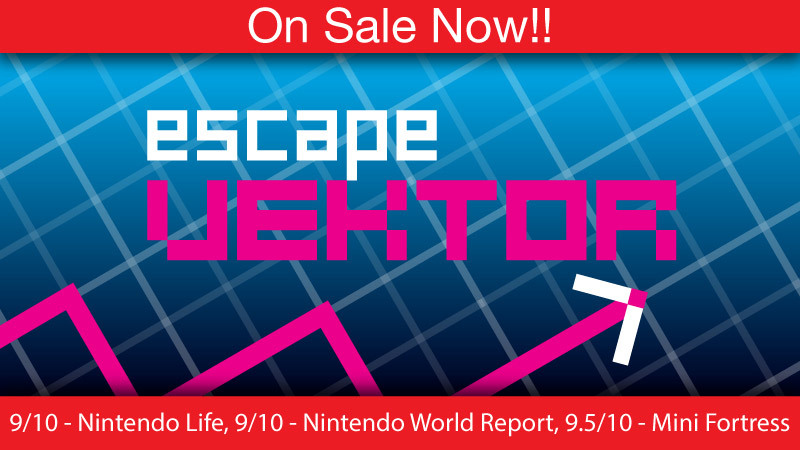 escapeVektor for Nintendo 3DS is currently on sale! You can grab our multi award-winning Australian Game of the Year for only US$3.99 / €3.99 / £3.59 / AUS$5.20. That’s the lowest price the game has ever been on the 3DS. But hurry, our sale only lasts until July 31. Go to our escapeVektor page if you want to find out more about the game. This entry was posted on Friday, July 18th, 2014 at 6:49 pm	and is filed under news. You can follow any responses to this entry through the RSS 2.0 feed. You can skip to the end and leave a response. Pinging is currently not allowed.